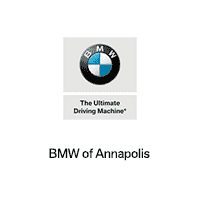 At BMW of Annapolis, we strive to provide you with all the information you need to select your perfect used car. That way, drivers of Annapolis, Highland Beach, and Hillsmere Shores can spend less time searching for a pre-owned automobile and more time enjoying the view from the driver’s seat. To help you along the road to your next sedan, SUV, or any other type of used vehicle, we’ve created this library of valuable resources. With these convenient tools, you’ll locate all the services and accommodations in your area that’ll keep your car performing at its best, or help you find the pre-owned vehicle of your dreams nearby. Once you’ve set foot into our nearby used car dealership, you’ll be met by a wide array of different makes and models to choose from. So, regardless if you’re looking for an aggressive truck, a sporty coupe, or anything in between, you’ll discover your ideal used vehicle with our extensive inventory. Plus, we offer up a state-of-the-art service facility that’ll keep your used car in top-notch shape for years to come. Here, our squad of trained technicians will utilize a collection of advanced tools to perform all types of services-from routine checkups to emergency repairs, and much more. That way, you’ll always be seated behind the wheel of a healthy, pre-owned automobile. Throughout this collection of links and materials, you’ll notice that we’ve compiled a list of the nearest towns we serve. Simply choose the community that’s closest to your home, and you’ll be presented with information that’s relevant to your pre-owned-car buying and service needs. These articles begin with an overview of each unique city and what makes the area so special to us. From there, we’ll get you acquainted with our used car inventory, and some of our most popular services and specials. Any successful used-car buying journey begins with some research. That’s why we’ve designed this list of our locations so that you’ll quickly identify your nearest showroom or the services you want to choose for your pre-owned automobile. For more information about all the benefits you’ll find at our local pre-owned car dealership, feel free to start browsing the menus on our website. And if you realize that you have questions at any point, the friendly associates at BMW of Annapolis are always happy to assist you. We’re committed to providing drivers of Annapolis, Highland Beach, Hillsmere Shores, and beyond with compassionate customer care. Contact us today to begin your used-car buying journey. We look forward to working with you!